Our ultra-moisturizing Shea Cashmere & Silk Hand Cream is the ultimate luxury! It glides on sensually like cashmere on skin. The non-greasy formula absorbs quickly to soothe and nourish skin, leaving hands soft as cashmere, smooth as silk and lightly fragranced with an irresistible blend of almond blossom, vanilla and creamy sandalwood. Hello, where can I get this? 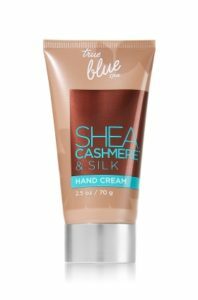 Hello Jermaine, True Blue Spa Hand Cream Shea Cashmere & Silk is still available. Pls do contact us at 0916-723-4044 either thru text or viber so we may be able to get the order details from you. You may also go to our fb page bathandbodyph for any communication. Thanks!